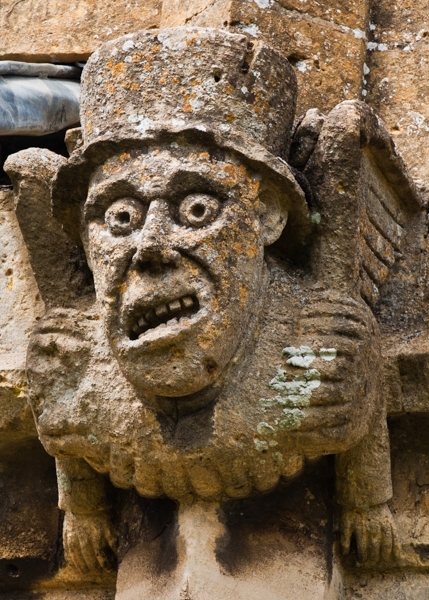 The historic church of St Peter in Winchcombe is known for its association with Quen Katherine Parr, who is buried at nearby Sudeley Castle. 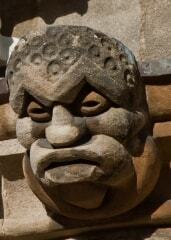 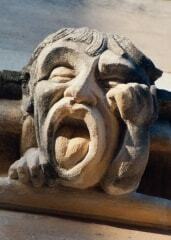 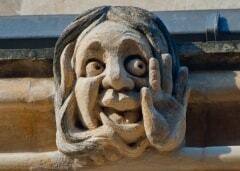 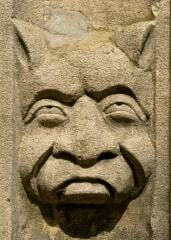 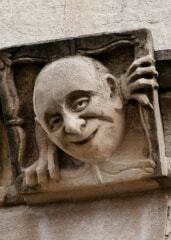 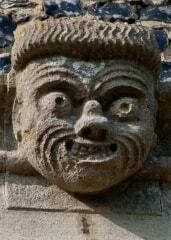 The church is also known for its collection of amusing gargoyles, of which this example is perhaps the most famous. 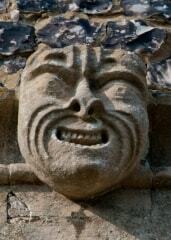 I photographed this gargoyle while sitting in the churchyard with my wife and son, waiting for a service to end so we could wander about the interior of the church and explore the architecture and historic tombs within.